I usually take an annual trip to the Finger Lakes in upstate NY and have come all times of the year. If you have never been, boy are you missing out. Due to the 6 hour ride from Boston and it being a Sunday I was only able to fit in 4 wineries in a few hours, which is pretty aggressive, but these wineries are some of my favorites so it's just trying some of the new vintages out. Today I visited a newbie, White Springs, and then proceeded on to Billsboro, Anthony Road and lastly, Fox Run Vineyards. Billsboro Winery I have loved in the past, especially their cabernet franc, cabernet/syrah blend, pinot gris and their ice wine. My favorite here today was the dry riesling though. Even though it's stated as a dry riesling it still had a .9% residual sugar. It had the citrus, drier tones up front, but rounded out to some melon tones and finishing with bright acidity. I wouldn't say they were up to par with my past experiences, but they're still tasty! for their gewurztraminer, which I have always been a fan of in previous years, except this year. For me my most enjoyable wines here were the pinot noir, which was lighter in style for a nice summer day when you're still wanting that red wine without the body of it. Their vignoles wine was also very nice with a 5.2% residual sugar so definitely on the sweeter side, but balanced out with nice acidity to the pineapple and grapefruit tones. I finished the day with one of my favorites, Fox Run, where I tasted the drier flight of wines that they have. 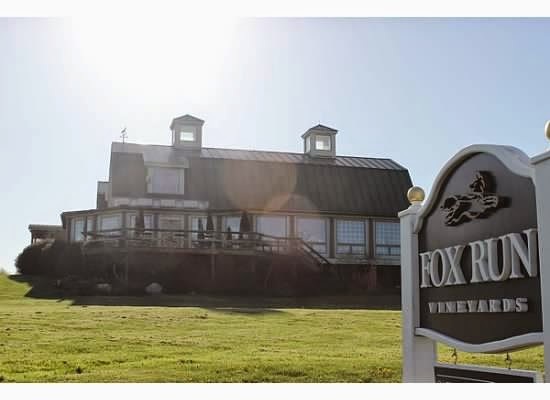 Fox Run Vineyards produces such consistent, quality wines. I really enjoyed their chardonnay (non barrel aged), Sable (which is a bordeaux style blend) and a pinot noir. Just a tidbit, but Fox Run, Anthony Road and Red Newt (another winery we will be traveling to) produce a Tierce Riesling together that was served at Obama's Inauguration. I could write so much more and I think I will share more information about the Finger Lakes later as many are probably not even familiar with it and definitely should be. 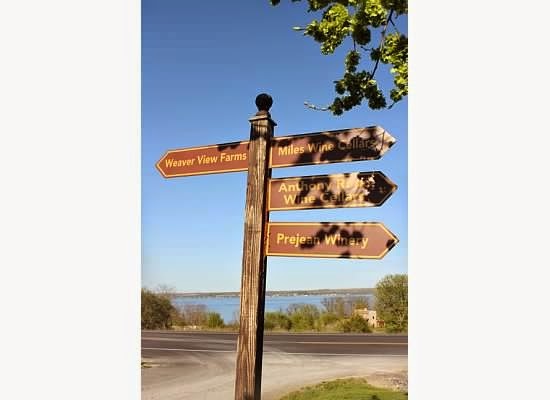 It's a beautiful country with miles and miles of farmland with over 100+ beautiful wineries and tasting rooms surrounding the three most popular lakes up here, Seneca, Cayuga and Keuka. Tomorrow we hit the southern tip and other side of Seneca.